I think that’s all the Latin I know. 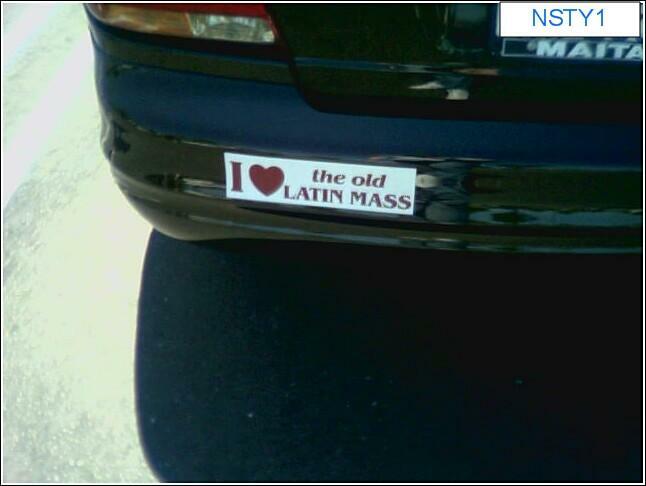 Bring back the Latin Mass and even the few who do attend will probably leave. Which reminds me…today at work, one of my coworkers (we’ll call him Ned) got a call from a charity called Children for Christ or something like that. Ned said, “Th caller wanted me to donate some money to Christ.” To which I said, “You would think He would be able to get his own money.” Strangely, no one laughed. I mean Jesus can raise the dead, but he can’t raise some funds? Alright, it’s not my best work, but I thought it was funny at the time. >For some reason they never find it funny. Heh. I do.